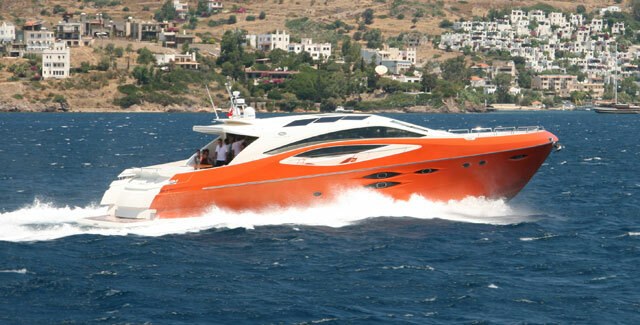 Turkey is rapidly establishing itself as a major builder of yachts, and nowhere is this more evident than at Numarine. The yard was established in 2002, and is one of the most technically advanced production yards in the country. 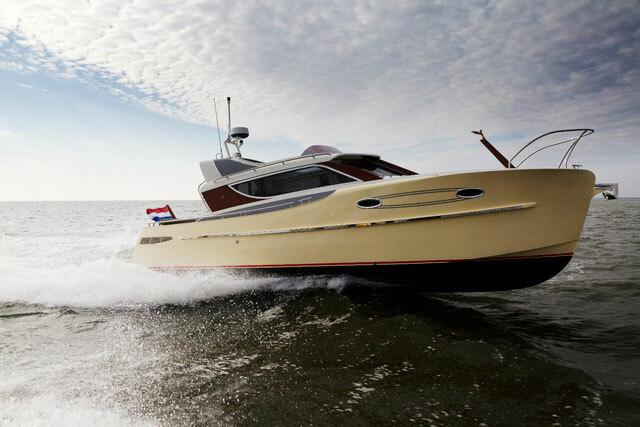 Boats.com was invited to try out one of the company’s most successful luxury yachts, the 78HT (the HT standing for Hard Top) and we were impressed. 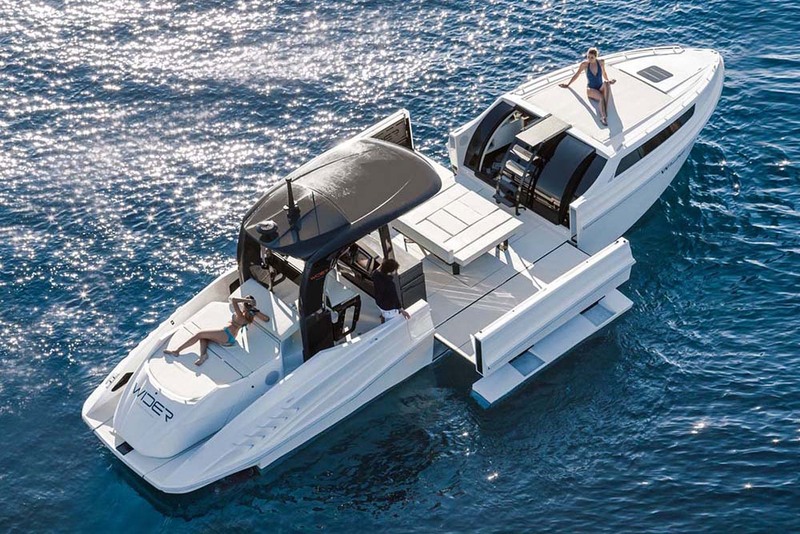 This is a yacht that seamlessly combines form and function, with plenty of space below, and many practical touches that allows the yacht to range far and wide when shore support is minimal. We discovered this for ourselves when docking the 78HT after a day out. The oversized bow thruster, however, made the whole stern-to approach seem ridiculously easy. As with the rest of the Numarine range, the 78HT is constructed at a purpose-built factory in the town of Gebze, about an hour’s drive from Istanbul on the Asian side of the city. The factory is located in the middle of an industrial zone that specialises in advanced plastic moulding, so there is no shortage of skilled labour. Also based here is the German interior joinery specialist Mila, allowing owners to specify a semi-custom fitout in a timber of their choice. In order to maximise fuel consumption and speed, the hand-crafted joinery is made as light as possible with the use of a laminated honeycomb sandwich that saves about 1.5 metric tons over a conventional interior. At first glance, the 78HT looks a little like an aggressive sea creature, with a brooding energy and forward flowing lines. This, we were assured, is quite intentional. Malaz has always been drawn to Italian design, so the Numarine range has been styled by Tommaso Spadolini, Can Yalman, and Umberto Tagliavini. The design team wanted a slightly menacing but also graceful look to suggest ‘a living presence’ when the 78HT is anchored amongst other ‘docile’ yachts. A signature to the design is a curiously raised gunwale amidships, parallel with the main side windows. Sections of the scale-like roof also wind back to let in the powerful summer sunshine. 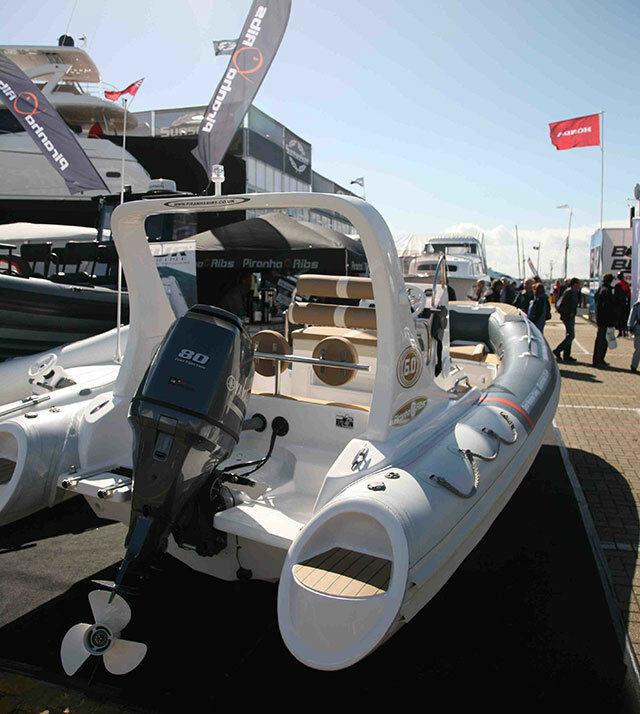 The 78HT measures 78ft 6in (23.98m) long including a generous bathing platform, with a beam of 19ft (5.80m). 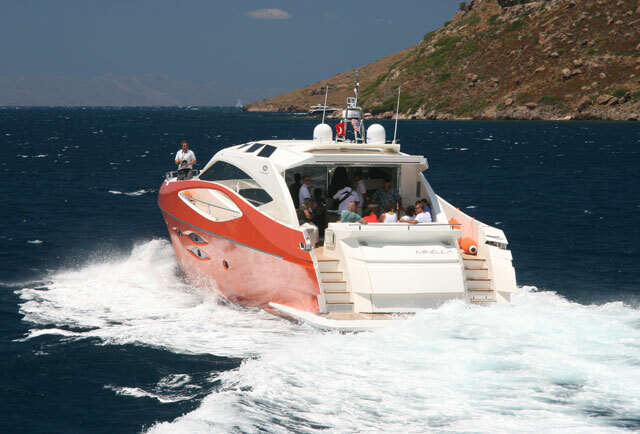 It has accommodation for eight guests and two crew, in five cabins, with plenty of room for socialising and sunbathing. 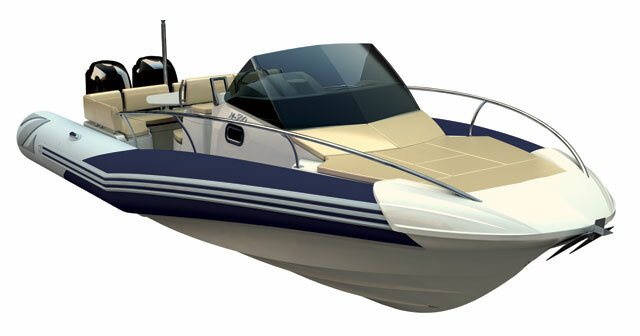 The hull is made from GRP composite, with vacuum-infusion used for full resin saturation. Each hull is laid up using PVC foam for stiffening, along with unidirectional and multiaxial E-glass and Aramid reinforcement. The result is a very tough, but remarkably lightweight hull. Vinylester resin is used throughout for its superior osmosis resistance, and each hull is painted with two-pack Awlgrip gloss, allowing customers to specify their choice of finish. 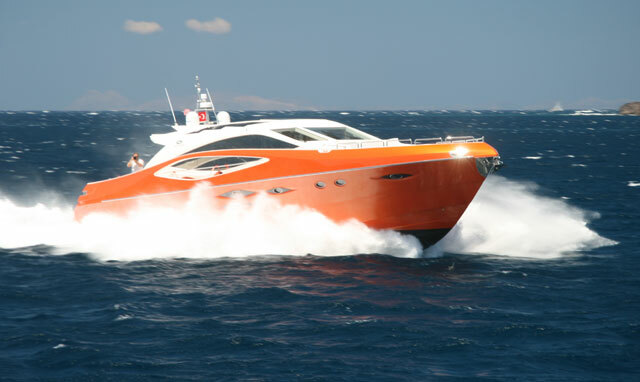 The yacht we took for a spin belonged to the CEO, and sported a bright orange hull, with the interior floors painted a deep blue. Unusual, and when combined with colour-matched fenders and sunbeds, quite effective. 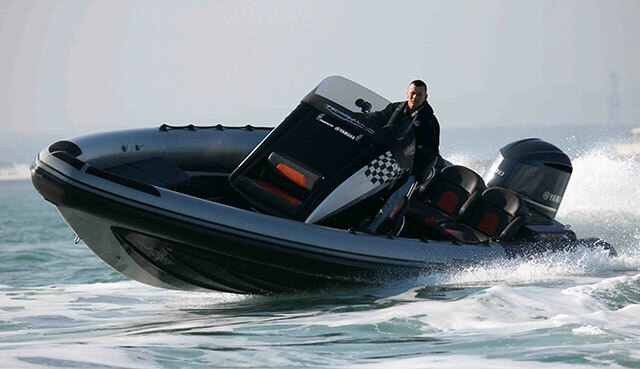 To achieve its striking designs, Numarine has bought virtually all its production in house. The factories infrastructure includes a five-axis milling machine that can create performance mould tools with a 0.1mm tolerance, and Malaz also bought the subcontracted window supplier on board, along with all of it’s specialist equipment. This means that Numarine can create its own radical windows in any shape imaginable, rather than relying on standard items as used by most other production builders. This makes the yachts pretty unique. Power comes from a pair of Man V-12 diesels, either of 1224hp apiece, or a more grin-inducing 1,550hp. 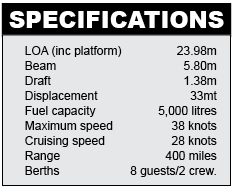 The bigger engines give a top speed of up to 38 knots, with a cruising speed of 28 knots, and a fuel capacity of 1,100 gallons (5,000lt) gives a range of 400 nautical miles. Our brief outing into a choppy Aegean was enjoyable, despite the flying spray. 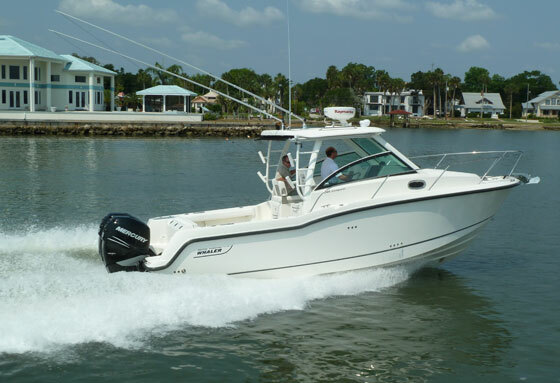 The yacht handled well, with the decks easy to move around. The ride was smooth in the short chop, and when viewed from another vessel, her trim appeared comparatively flat. Down below, the accommodation is well laid out, with an island double forward, two twin-guest cabins to port and starboard, and a full beam owners suite amidships. The headroom is also very generous – no stooping is necessary. The crew quarters are aft, next to the engine bulkhead and opposite an L-shaped galley. On the main deck, the cabin is open plan, and relatively small compared to the acres of deck space. Wide sunbeds are found at both ends of the yacht, with a forward facing three-person seat below the wheelhouse windows. In the cabin, social space is provided with a U shaped settee to starboard, and a 9-place dining table to port. We came away from our visit to the factory and a spin on the yacht with the impression that this was a yard that knows where it is going. The yachts are built to run fast and light, to anchor effortlessly in deep water, and to provide plenty of social space on deck and in the main cabin. She certainly looks good, with a performance to match. There were a few things we would change – the design of the showers being one (the large door opens inwards – outwards would be safer) and there are a few sharp edges in the wrong places, a result of the Italian obsession with angles, but these are minor tweaks that any savvy owner would change. That’s the beauty of semi-custom. Interiors are infinitely malleable. 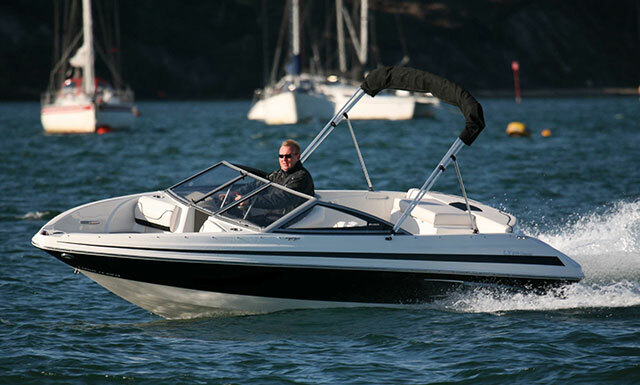 Menacing, fast, head-turning and yet still highly practical – and with a flybridge version available on the same performance hull - the 78HT has proved to be one of Numarine’s best sellers to date, and it’s not hard to see why. For more details see Numarine.